Bacolod, the City of Smiles. 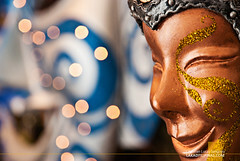 It is home to the Masskara Festival and unending lines of restaurants. One might even be tempted to consider it as the Food Trip Capital of the Philippines. To get a clearer overview of a trip to Bacolod City, one has to consider that the tour would not be limited to only the tourist spots in the city itself. The nearby cities of Talisay and Silay should also be included in the travel guide and itinerary and so is the much farther town of Murcia where the seven waterfalls of Mambukal National Park is located. My first trip to the province occurred in 2010 and I have since been back thrice after that. The main mode of transportation in Bacolod and its neighboring towns is the jeepney. 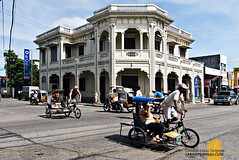 There are also pedicabs (trishaws) and motorized tricycles along its side-streets. Taxis are also available for rent, although most of them, from my experience, charges pakyaw (without using the meter). 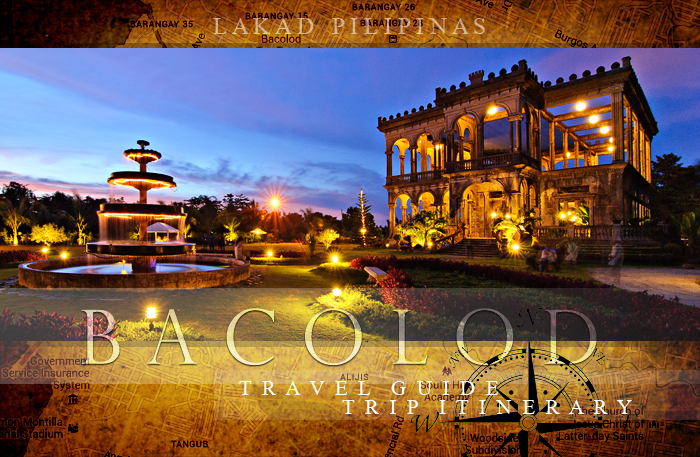 It is generally quite easy to tour Bacolod on your own, DIY-style. But should you want a more convenient way of visiting the city’s tourist spots, there are a lot of tour companies offering city tours of Bacolod and its neighboring towns. I personally haven’t tried arranging for such, so I really can’t recommend any. 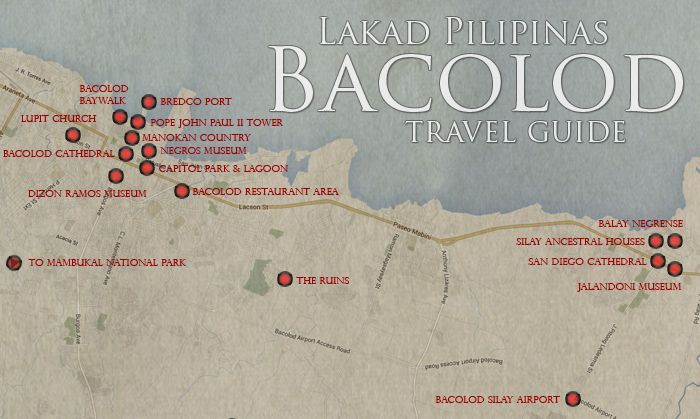 For fairness’ sake, simply type “Bacolod Travel and Tours” in Google and choose which ones suit your budget and taste. Alternatively, you may check Bacolod’s local government listing here. People in Bacolod and generally it’s neighboring municipalities use Hiligaynon or Ilonggo as their main language. It is the third most spoken language in the Philippines. There are those who are also fluent in Cebuano, but most can understand and speak Filipino and English. 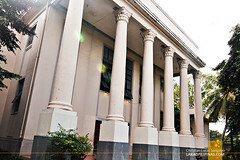 There are numerous lodgings, inns and hotels located at Bacolod City that caters to the A, B and C crowd. From cheap accomodations suitable for budget travelers and backpackers, to glamorous five-star hotel rooms for the glitzy tourists and business people. One would not run out of places to eat while in Bacolod City. From the humble carinderia of Manokan Country to the glitzy cafes at Lacson Avenue. Popular fastfood joints also abound, should you miss eating your favorite burgers and fries. Bacolod seemed very unassuming the first time I visited; I didn’t know that there were so many things one can do and so many places to visit in the area. From old churches, ancestral houses, ruins, waterfall adventure and parks. The only thing missing really is some beach action. Souvenir shops and pasalubong centers are scattered throughout the city, but the best souvenirs I found were from the Negros Showroom and the best pasalubong were the Napoleones and tarts from Virgie’s. Three days is the minimum for an effective Bacolod tour. You can extend this to four or five days if you want a more relaxed pace and if you want to sample more restaurants in the city; Bacolod is a food trip city after all. The tour itinerary below is already relaxed in its pacing and covers almost all the tourist spots in Bacolod, Silay, Talisay and Murcia. Bacolod is a fairly inexpensive city to tour around in, especially if you utilize the jeepney as your main mode of transportation. Most tourist spots are walking distance to each other, except a few. Food is also quite affordable, even on restaurants. The travel budget I prepared below is the absolute minimum one can spend in Bacolod City. PHP100.00 - Average cost of a meal per person on a carinderia. 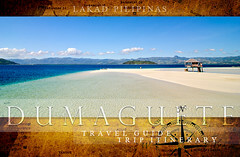 Ikaw na ang may complete travel guide with matching GPRS coordinates! No problem Beecabelle! Actually ako di pa rin ako nakapag Masskara, enjoy touring Bacolod! Sir if I may suggest you might want to visit carbin reef and other sagay marine reserve that's in northern part of negos occidental as well as mambangon falls in las castellana that's in southern part naman. Masarap ung talaba sa Hinigaran still in southern part..
Will do that Genny! Thanks for the travel tips! Hello po Sir. will plan to visit bacolod po this 3rd week of Feb. pero po kasi ang plan namen is Bacolod-Iloilo-Guimaras-Bacolod. pede po bang makahingi ng sample itinerary for this 4 day visit of these places. nahihirapan na po kasi aq pumili sa dami ng pedeng mapuntahan. un po sanang dapat hindi mamiss ung mga nasa IT namen. thanks po in advance. Hi Xeng, sorry for the late reply, how did your Bacolod trip go? Hi Christian! We plan to visit Bacolod this July 20 & 21. Is it possible to squeeze in your itinerary in just 2 days? 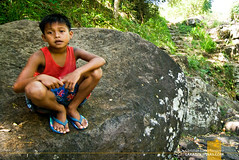 We are coming in from a bus ride from Dumaguete in the early morning of July 20. We leave for Ilo ilo early morning of July 22. We are a family of 4 (all adults) + 1 adult friend total of 5pax. We plan to rent a van and driver for the 2 days stay in Bacolod. Thank you! For a solo traveler, Dormitels has the cheapest accommodation. Php250 for a bunk bed. If you are traveling with a group, I suggest staying in family-owned lodging. They have rooms that can accommodate more than 5 persons for less than Php2000. Sir, when you say Siquijor is one hour away by ferry, what do you mean? Is Siquijor one hour away from Bacolod by ferry? Or is it from Dumaguete? Dumaguete is 5-6 hours away by bus according to the post above. So in total, from Bacolod, it will need around 7 hours to go to Siquijor, tama po ba? Hello, Sir. It's Noli again. I am just wondering if you can help me. How can one reserve a room in Mambukal? I noticed that they only have landlines in their Web site. I don't have means of contacting them through these landlines. I tried contacting their FB Page but they are not responding. I want to ask, what is the probability of an available room in their resort if we will reserve just one day ahead? Are they always fully booked? We're going there next week, specifically on December 9. If we can't reserve now, perhaps reservation will be the first thing that we will do when we arrive in Bacolod on the December 8. I'm just taking a chance if you have any idea. Hello, good day. I want to have the same flow as your itinerary. But I will be going with my Aunties. And they wanted me to rent a van that could accommodate us with the same itinerary as yours. Do you have any idea or could you recommend a van rental that has the same itinerary? Or offers a customize one? Hoping for your response! Thank you! God bless!! Still haven't visited Campuestohan, sigh. I like the food in the City. This post is really a guide. We'll definitely use this in our Bacolod Visit in December. Hopefully our house in http://suntrust.com.ph/bacolod/ be completed as soon as possible. I am excited to live in the City. san ka kumuha ng tour? I love your post. 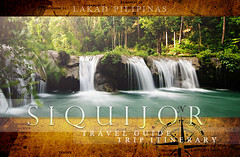 we are planning to visit Bacolod in mid February 4d3n, 4 adults. can you help me how I can squeeze in Dumaguete in the itinerary? Hi there, doing a Bacolod-Dumaguete trip isn't really feasible if you're only staying for four days in Bacolod. 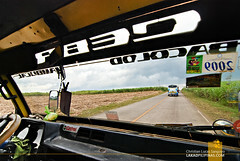 The travel time from Bacolod to Dumaguete takes about five to six hours by bus or by car, one way. Very informative po. Thank u po. Hi Elaine! Thanks for the kind words! Hope the Bacolod itinerary helps! This is one of the most informative, detailed, and useful guides out there. Keep it up! Thanks! Hope it helps with your Bacolod tour!